Newark Star-Ledger editorial: Chris Christie should resign. Over the last year he has flipped his position on guns, immigration, and a full menu of other core issues. He has lied over and over, about Bridgegate, the budget, his imaginary friendship with the King of Jordan, and so on. It has become a habit, one that drains his credibility like grains of sand slipping through an hourglass. The Star-Ledger also condemns Christie for his inattention to local issues such as the impending bankruptcy of Atlantic City and problems with the New Jersey Transit rail system, which is on the verge of being shut down by a strike. 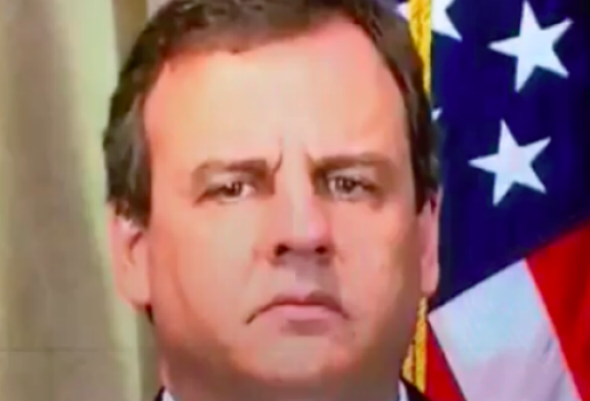 Christie has scheduled a press conference for 1 p.m. ET, though it’s not clear which (if any) of his many problems he plans to use it to address.